The Society’s programs and services are dedicated to enhancing the profession and the community, while encouraging the growth and development of engineers and scientists for the future. 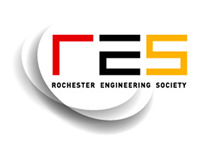 Founded in 1897, RES is a multi-disciplinary society uniting diverse disciplines to enhance professional development, foster excitement in math and science for the next generation of leaders, and improve communities where members live. The Society supports individual engineers, local affiliates of national engineering societies, schools of engineering, and professional firms. RES provides many opportunities to learn, to build relationships and to contribute to the community. Rochester Engineer Magazine: Our monthly, 48 to 56-page Rochester Engineer magazine is the only publication in the region with articles on the cutting edge of engineering and technology in Rochester and beyond, job openings, news in the many engineering disciplines, networking and continuing technical education opportunities. Community Outreach: RES work has included providing annual college scholarships to promising engineering students; the E3 Fair for middle school students; an engineering Boy Scout Explorer Post; mentoring new engineers; networking, job and career development opportunities; continuing technical education; and recognizing the “Engineer of the Year” in our area. Community Partnerships: Our partnerships throughout the community enhance recruitment, continuing education and networking efforts for entrepreneurial firms and their employees. We help expand the engineering community’s civic involvement and service projects; and we are a resource for information in the Rochester area when the media, public officials, schools and others want to know something related to engineering. We have a tutoring program you can volunteer your time to and need volunteers for STEM in area schools. We represent thousands of engineers. RES has Affiliates that are local chapters of national and international engineering associations, and Corporate Members--major engineering firms and engineering schools at the university level. Close to 200 engineers also hold individual membership in the Society. RES is a 501(c)3 organization. High on the priority list of all community action plans is the recruitment and retention of young people as well as new companies, particularly in the high-tech sector. The Rochester Engineering Society has much to contribute in this arena. We are part of the infrastructure required to increase both individual and professional satisfaction, influence how people perceive Rochester, and to provide concrete opportunities to learn, build relationships and contribute to the community. There are many opportunities to partner with RES to meet the 21st century challenges of serving the greater Rochester community. We produce tangible results, increasing our region’s capacity for economic growth and community development. We look forward to hearing from you.